An emergency trip to a major shopping centre (after someone dropped their phone and needed a new screen asap) resulted in this photo of the new fandangle shopping trolleys now available. Thoughts?? I think maybe it is a little wacky!! Is there any teachers (love your work) out there who can shed some light as to why I was required to buy these bloody expensive connector pens as opposed to normal run of the mill textas?? While on school supplies does anyone actually make 48 page exercise books anymore?? Also why can the schools not use there massive buying power and bulk buy all the required crap lessening the price?? After leaving school supply buying until the last minute a mad dash around the shops while the phone was being fixed proved very successful. I swear next year I will not leave it to the last minute!! Actually I swear I will try not to leave it to the last minute!! In other news we finally finished season 6 of SOA. Holy freaking guacamole. I confess I knew part of what was going to happen after reading something in a magazine although I didn't know the ins and outs plus the other stuff that went down. If anyone knows where my season 6 disc 3 is could you please let me know, it has disappeared from the face of the earth. The good news is that the season 7 dvds have been preordered and should be here early March. I don't want it to end but I need to know how it all plays out!! Char left a comment the other day and is a complete mind reader!! I had mentally made a playlist of music I can play from tomorrow onwards when school goes back!! Pink being top of the list!! Damn kids and there learning of songs meaning anything with even the remotest swear word is off limits!! So that is what is on my mind this week, what's on yours?? Loving the cup holder on the trolly! Wish they were at my supermarkets. Not sure what the cycling handles are for?? Oh SOA last season is awesome except for the last few seconds. You will see when you get there. The soundtrack is great again too. I just finished season 7. OMG. I'm still reeling! I haven't even started watching SOA but maybe I should seeing as everyone raves about it. Perhaps the class is going to make a connector pen line from one end of the school to the other? 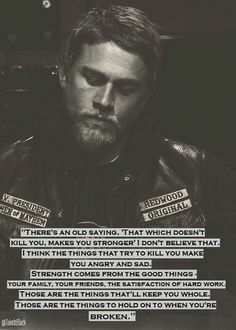 Love SOA! Already watched season 7 so wont say anything to spoil it. 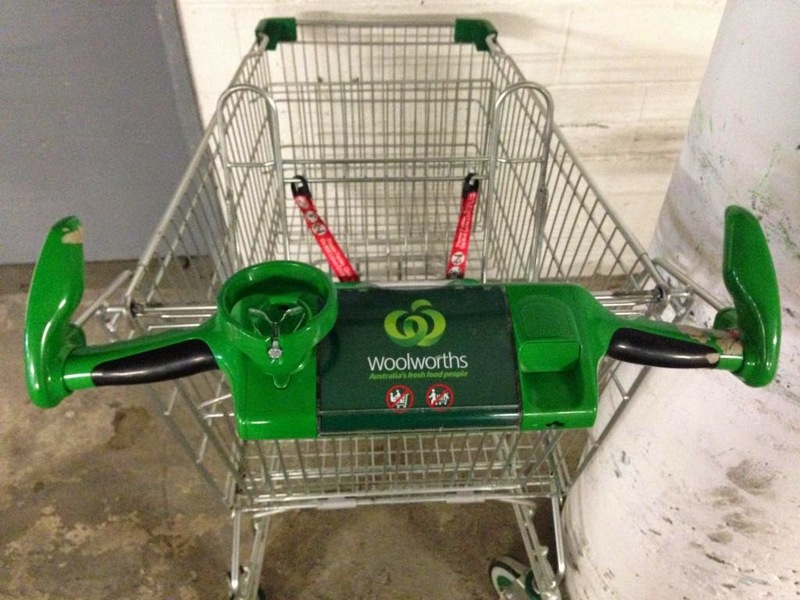 I love the new trolleys - so much easier to steer with the side handles. And I totally agree, why can't the school buy all the stuff and we just give them the money, would cost so much less and be so much easier. Can you believe that I still haven't watched season 5 of SOA, it's sitting here all ready to go but I've been kind of savouring it like the last chocolate in the box for MONTHS now. I need to make a start on it before someone gives the story away. I often think the same thing about school supplies. Miss Mac is in year 11 and right now the price of all the revision guides is killing me! Ann, I wrote a post about connector pens from a teacher's point of view and let me tell you right now... they are not on my book list. Not only that but I have banned them from the classroom! I'm a bit preoccupied by the fact that Miss 18 has left home. And I've never seen a trolley like that before, what the?! I do not miss back to school time. Not one little bit. And I laugh internally at all the mothers going through the stress. But it's an empathetic laugh. Whether or not iMessage spam is a major problem in the US is open to debate. Timberland Sale There were recent reports that iMessage spam now accounts for 30 per cent of all mobile spam messages, but others have questioned these figures. Timberland Outlet online I'm more concerned about the fact that I received iMessage spam via an email address which is reserved for one of my iTunes accounts and never used elsewhere. We've got those trolleys at one of the Woolies but I haven't tried then out yet. A few schools here did book packs but a few of the previous parents said that it worked out more expensive to buy them.